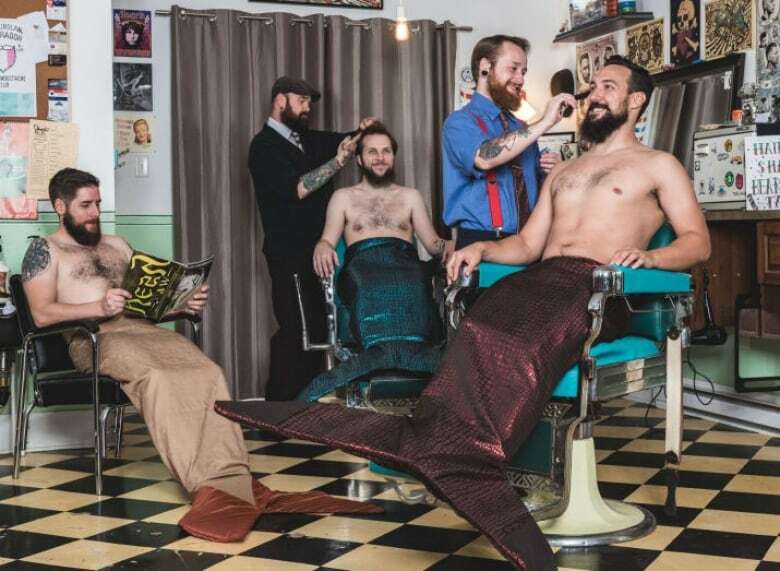 The world over, people are celebrating Canadian... Mermen. 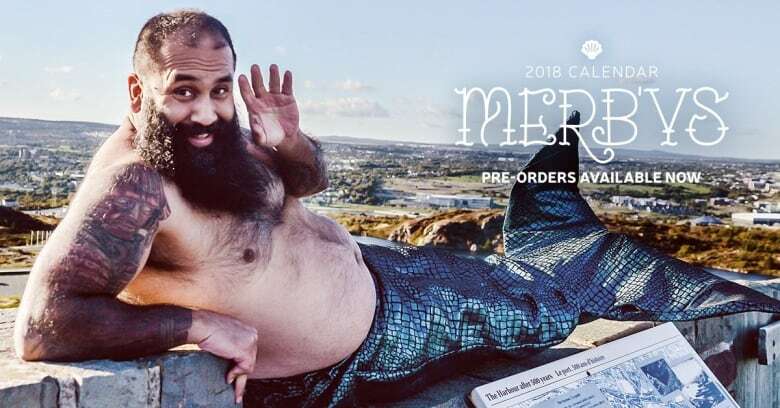 It should be stated that they don't favour the name Merman, I use it here only to clearly identify the cryptozoological species we're dealing with. 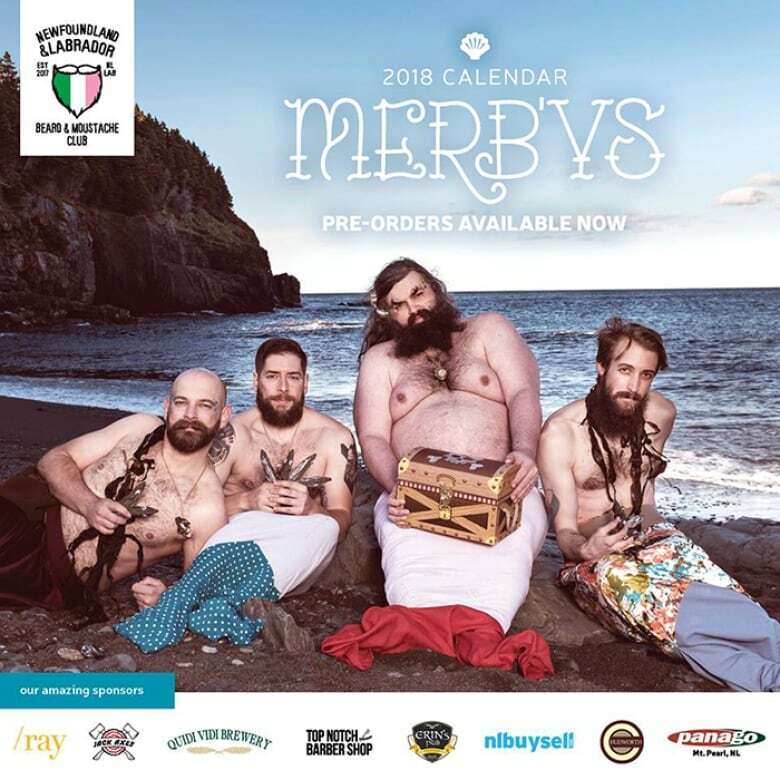 Regardless, in the States, France, Germany, and here at home, over 300 pre-orders have already been placed for a 2018 calendar featuring the Newfoundland and Labrador Beard & Moustache Club all wearing nothing but their face fur and some flashy fins. Hailing from Newfoundland, these furry fish, are MerB'ys, and proud of it. As well they should be: they're doing this for a mighty worthy cause. Calendar proceeds are going to Spirit Horse NL, a group that offers support to people with mental health issues via therapeutic interaction with horses. 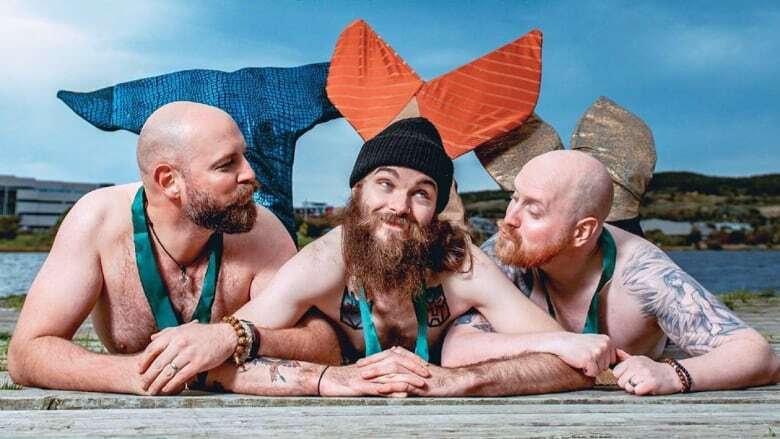 "They're desperately in need of funds and awareness because it's expensive to raise and upkeep horses," says Hasan Hai, who founded the Newfoundland and Labrador Beard & Moustache Club. He knew instinctively this was a challenge fit for the MerB'ys. "I figured right away that this is a cause our club can get behind." Once they had a charity to champion, finding willing men with facial hair did not prove problematic. Hai says he was immediately inundated with at least seventy beardos more than keen to get fishy for the fund raising initiative. In an effort to bolster awareness, the club also took their scaly show on the road in and around St. John's. Presumably they traveled on foot and suited up at each venue – fish are notoriously clumsy on land. "Moving around in a fishtail is not as easy as you would think," says Hai. We can't fault the boys (er, by's) there – feet being superior to fins in this regard. Hai is clear that "behind the scenes, when the camera's not running, there's a lot of hopping involved – and squirming." However awkward the shoots, their efforts have been worthwhile, and decidedly fun. One happy byproduct of the initiative is that they're also getting to challenge some persistent gender norms. Hai says rolling around as MerB'y has allowed him and the other MerB'ys a wholly "different take on what manliness and masculinity looks like." He says the response has been largely positive. "People blowing kisses at one another, guys holding hands, being whimsical and silly – it's a lot of fun." That the project ended up "poking a lot of holes at traditional gender roles and stereotypes" was a bonus. As was some added body confidence. Stripping down for charity has made the founder feel more at home in his own skin (and scales). He decided early that any reservations he might have had were secondary, asserting, "I will sell my dignity for a good cause here." Whether or not MerB'ys and their aquatic aesthetic are your cup of kelp, these rare creatures are humanitarians at heart and we're happy to call them our own. And certainly hope they'll migrate back yearly for future charities. Don't bother worrying about the worthiness of your beard should you want to join the MerB'ys. Membership is open to anyone who appreciates the hirsute lifestyle (in body or spirit), and wants to give back to the community. In fact, Hai is adamant it's "the beard inside that counts". No mention was made regarding the importance of being half fish. Convince your squad to quit. Even "third-hand smoke" left on walls and carpets is toxic.